Deep learning systems can be fooled by small, worst-case perturbations of their inputs, known as adversarial examples. This has been almost exclusively studied in supervised learning, on vision tasks. However, adversarial examples in counterfactual modelling, which sits outside the traditional supervised scenario, is an overlooked challenge. We introduce the concept of adversarial patients, in the context of counterfactual models for clinical trials—this turns out to introduce several new dimensions to the literature. We describe how there exist multiple types of adversarial example—and demonstrate different consequences, e.g. ethical, when they arise. 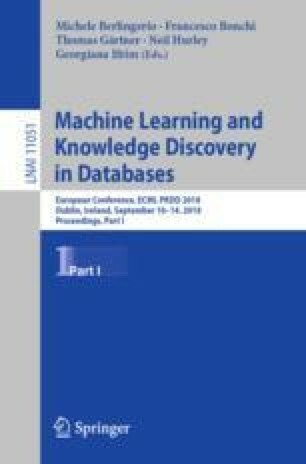 The study of adversarial examples in this area is rich in challenges for accountability and trustworthiness in ML–we highlight future directions that may be of interest to the community. The online version of this chapter ( https://doi.org/10.1007/978-3-030-10925-7_3) contains supplementary material, which is available to authorized users. K.P. was supported by the EPSRC through the Centre for Doctoral Training Grant [EP/1038099/1]. K.S. was funded by the AstraZeneca Data Science Fellowship at the University of Manchester. G.B. was supported by the EPSRC LAMBDA project [EP/N035127/1].